3 Common Myths About Summer Camp…Debunked! ← Child Refuses to Go to School? Here Are the 3 Reasons Why! Why is summer camp important? Just like most parents, have you also asked this question yourself? 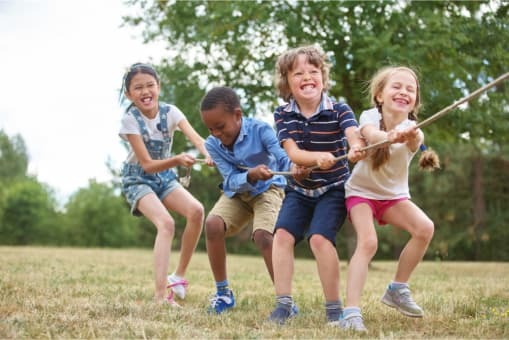 Many think that it’s just a way for children to play and have fun during the summer months but the fact is, it can bring many important benefits. It is a unique venue where children can grow, learn, gain self-confidence and independence, socialize, learn new skills, and make friends. At Severna Park Children’s Centre, Inc., a well-known daycare center in Pasadena, Maryland, we understand that most parents are hesitant about sending their child to summer camp. Some of the common myths listed below may contribute to that hesitation, so we will be debunking them for you! Myth: Summer camp isn’t educational. Fact: Again, many parents think that summer camp is just an excuse for children to play and have fun all day long but the truth is, summer camp offers many educational opportunities. While it doesn’t offer the same formal learning structure of a classroom, children can learn many things during camp. Campers are constantly learning physical, emotional, social, and mental skills throughout their time at camp. Myth: Summer camp isn’t for everyone. Fact:Yes, children have different interests but that’s the beauty of summer camp – there’s something for everyone! As a top learning center in Maryland, we offer a wide variety of activities to meet the varying interests of our campers. Whether its sports, music, arts and crafts, dance, or other activities, we offer different activities for every camper to grow and excel in. Myth: My child won’t make it through the summer without electronics. Fact: With the growing popularity of electronics and gadgets, more and more children are becoming dependent on them. Going to summer camp will help them unplug from technology. They may not like it at first but most campers eventually enjoy taking a break from technology. Without digital distractions, campers can engage in the real world, reconnect with nature, and socialize with other campers more. By uncovering the truth behind these myths, we want to encourage more parents to send their children to summer camp. Allow them to experience the one-of-a-kind adventure and learning that only summer camp can bring! Do you have other myths that you would like us to debunk? Let us know in the comments below! This entry was posted in Child’s Education and tagged children’s learning, Common Myths, Summer Camp. Bookmark the permalink.